Adenoviruses cause respiratory illnesses that can range from the common cold to pneumonia, croup, and bronchitis. They can also cause other types of illnesses such as gastroenteritis and conjunctivitis. You can get infected with adenovirus at any age, but infants and people with weakened immune systems can have ongoing infections and shed the virus for longer periods of time and are at a higher risk for developing severe illness. Adenoviruses are one of the respiratory viruses that can cause the common cold. Symptoms include sore throat, bronchitis, fever, pneumonia, diarrhea, conjunctivitis (pink eye), bladder inflammation or infection, gastroenteritis (inflammation of the stomach and intestines), and neurologic disease. Although adenoviruses rarely cause serious illness or death, infants and people with weakened immune systems, existing respiratory or cardiac diseases are at a higher risk of developing severe illness. 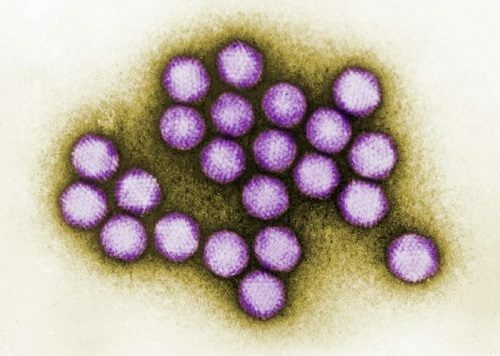 Adenoviruses are spread infected people to others in the air by coughing and sneezing, or close personal contact by touching and shaking hands, and touching contaminated surfaces with adenoviruses on them and then touching your mouth, nose or eyes. The virus can also be spread through stool and water such as swimming pools. 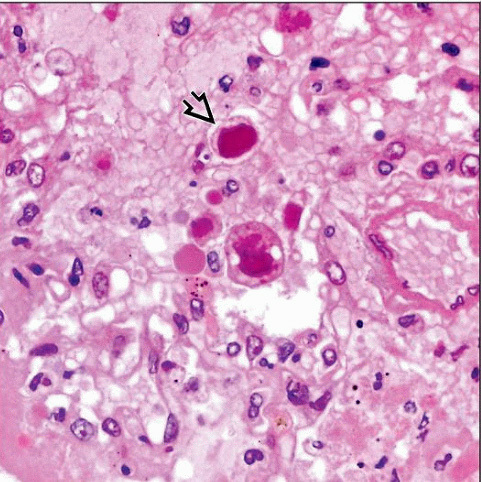 The virus can be shed from the body for a long period of time even after a person recovers from the infection and does not show any symptoms, and can spread to other people. Adenovirus infections can be diagnosed by your physician and can be identified using antigen detection, polymerase chain reaction (PCR), virus isolation, and serology. Typing for the virus can be done using molecular tests. There is currently no specific treatment for adenovirus infection. Most illnesses caused by adenoviruses are mild and may only require treatment to help relieve common cold symptoms. There is no immunity to adenovirus. Infection with adenovirus does not protect you from future infections. Because there is no routine surveillance on adenovirus, seasonal trends are unknown. Anyone can get infected from adenovirus but infection usually occurs in children. There is currently no adenovirus vaccine available for the general public. A vaccine against adenovirus types 4 and 7 is available for U.S. military personnel only. Please see additional resources for more information about the vaccine. Adenoviruses are resistant to many common disinfectants and can remain on objects and surfaces for a long time. Swimming pools should maintain proper chlorine concentrations to prevent conjunctivitis. Adenoviruses most commonly cause respiratory illnesses. The illnesses can range from the common cold to pneumonia, croup, and bronchitis. Depending on the type, adenoviruses can cause other illnesses such as gastroenteritis, conjunctivitis, cystitis, and, less commonly, neurological disease. Those with weakened immune systems are at a higher risk for developing severe disease and have the ability to shed the virus for months. Adenovirus infections can be identified using antigen detection, polymerase chain reaction, virus isolation, and serology. Check with your clinical laboratory partner to determine which test is available and appropriate. There is no specific treatment available for adenovirus infections. Most infections are mild and do not require medical care. Clinical care of adenovirus infection includes supportive management of symptoms and complications. Cidofovir has been used to treat severe cases of infection with immunocompromised individuals. To prevent healthcare-associated outbreaks of adenovirus infections, healthcare providers should follow infection control practices such as contact and droplet precautions and promptly responding to and reporting cases.